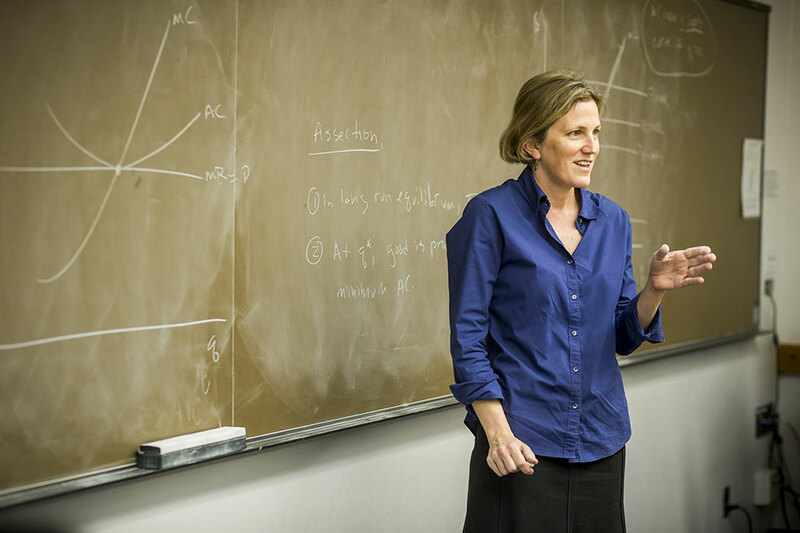 Prof. of Economics Kimberly Clausing makes the progressive case for free trade. She speaks with Bloomberg's Joe Weisenthal, Romaine Bostick and Caroline Hyde on "Bloomberg Markets: What'd You Miss?" Prof. of Political Science Paul Gronke is director of the Early Voting Information Center. 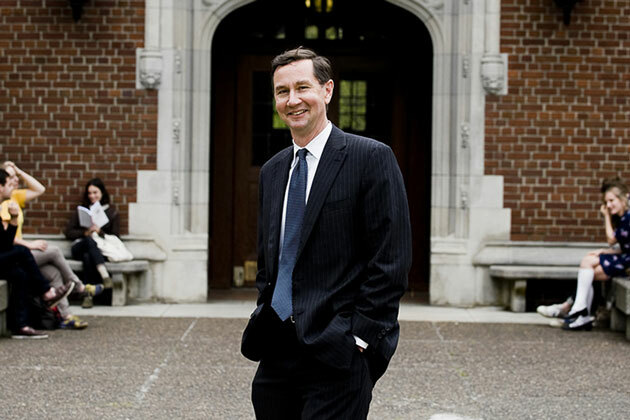 Phillip Keisling is director of the Center for Public Service at Portland State University and served as Oregon secretary of state from 1991 to 1999. Together they wrote a tribute to Oregon Secretary of State Dennis Richardson who died in February of 2019. Prof. of Economics Kimberly Clausing helps the New York Times explain how the Trump tax cuts exacerbate the record trade deficit. 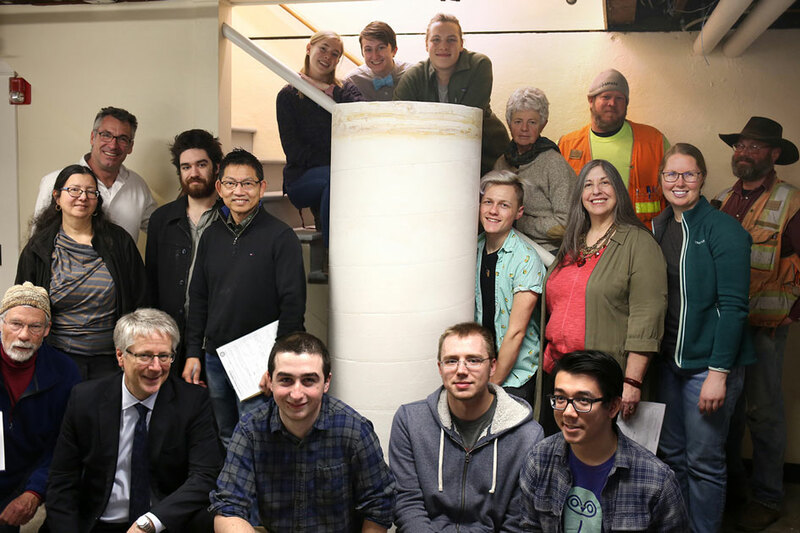 What happens when you leave four Reed College science majors unattended over winter break? No big explosions, nothing catching on fire, but you might get the largest piece of chalk ever. The legacy of Robert Palladino, Llyod Reynolds, and Reed's famed calligraphy tradition lives on in an opera about Steve Jobs. (Requires Subscription) Mary B. James, Reed's dean of institutional diversity, talks about faculty search process. Daniel Reisberg the Patricia & Clifford Lunneborg Professor of Psychology Perception, cognition, psychology, law explains the body's biological response to stress and how it affects memory for a New York Times story on eyewitness accounts pertaining to the Jazmine Bares case in Texas. 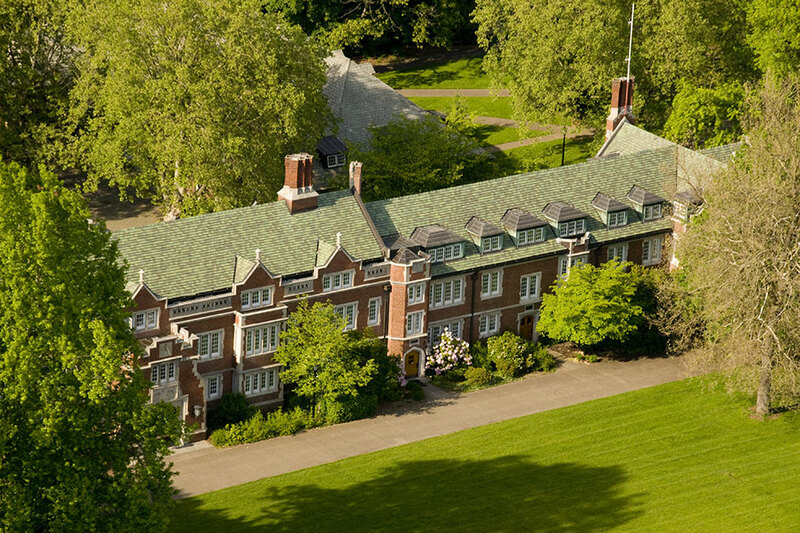 Reed College came in at number one for the Sacha Baron Cohen character Prof. Nira Cain-N'Degeocello from his Showtime series Who is America? 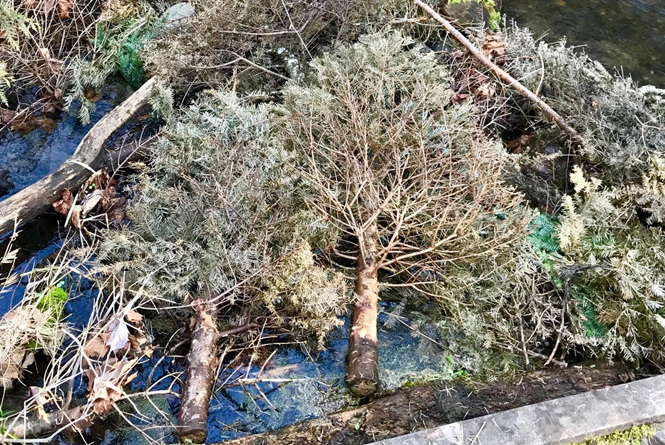 Restoration Manager Zac Perry talks about how Reed uses recycled Christmas trees to prevent creek erosion and provide fish nurseries. 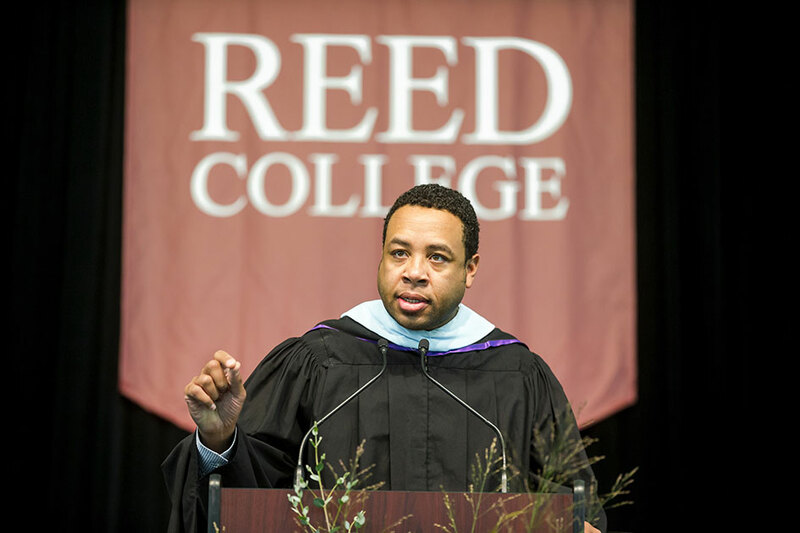 Reed College graduate Chris Garrett '96 ascends to Oregon's highest court. 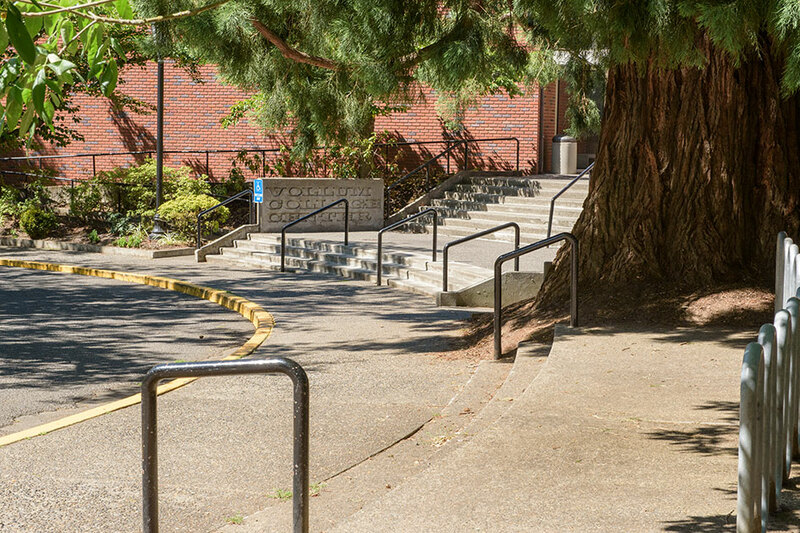 Jefferson Public Radio’s coverage of the report Ashlee Fox ’19 on wildfire and urban planning for 1000 Friends of Oregon. 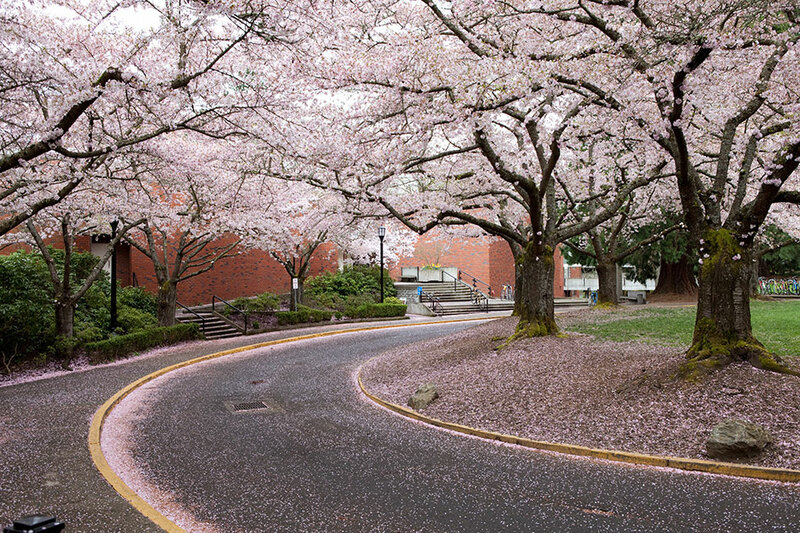 How much student loan debt will your Oregon college require? A new national study finds that Reed grads leave with the least student debt of all four-year colleges in the state. Reed's $27 million-a-year financial aid budget makes this possible. No money. No English. But America welcomed a young foreigner. New York Times opinion columnist Nicholas Kristof writes about his father Ladis ’55 and his journey from Ukraine to American citizenship. Professor of Political Science Paul Gronke helps NPR listeners understand the rules that govern the Florida recounts. The story makes the case that the lack of knowledge of this process makes the electorate vulnerable to political rhetoric casting doubt on the legitimacy of the results. The idea of universal basic income, a fixed income that every adult receives from the government, has been garnering interest as a response to wage stagnation and automation. 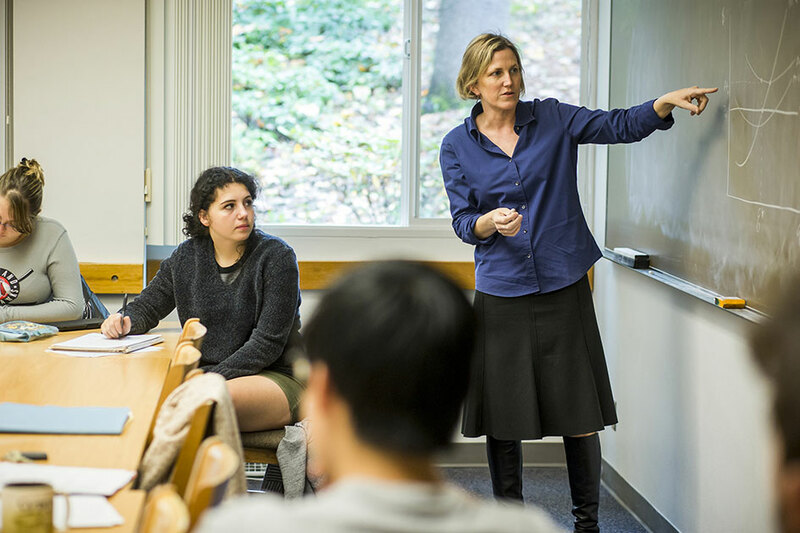 Prof. of Economics Kimberly Clausing joins Berkeley's Hilary Hoynes and Eduardo Porter of the New York Times to share their views on its feasibility and offer alternatives. 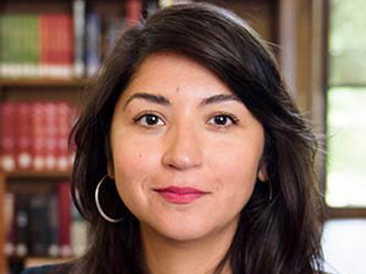 Prof. of English and Humanities Lucia Martinez Valdivia talks about the history of Hum 110 and ways to think of identity in the Half Hour of Heterodoxy podcast. Prof. Paul Gronke warns against deriving meaning from early voting results. Prof. Paul Gronke pens an op-ed for Slate.com on the perils of prognosticating elections using early voting data. 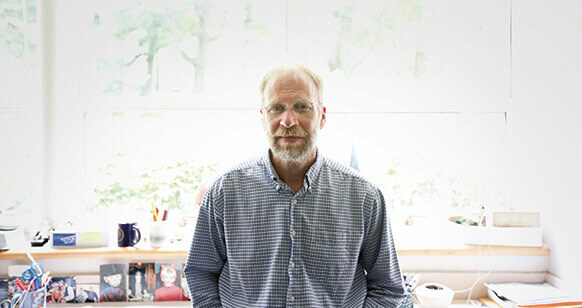 Peter Rock has fairy tale published in The New York Times Style Magazine. Alumna and current coach Rachel Johnson ’13 selected to U.S. Women's National Rugby team. OPB's Think Out Loud interviews alumna and current rugby coach, Rachel Johnson ’13 on her selection to the U.S. Women’s National Rugby team. Prof. Kimberly Clausing interviewed about federal deficit on PBS Newshour. 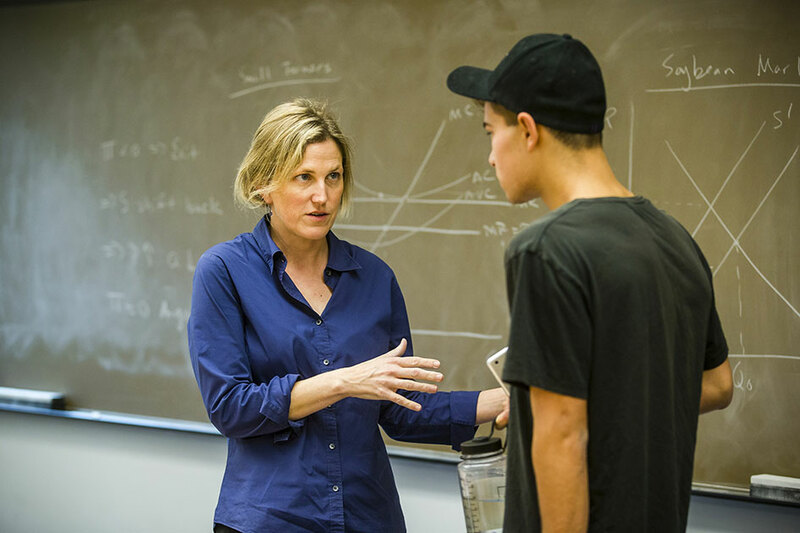 Prof. Kimberly Clausing adds insight to the PBS Newshour story on the growing federal deficit. 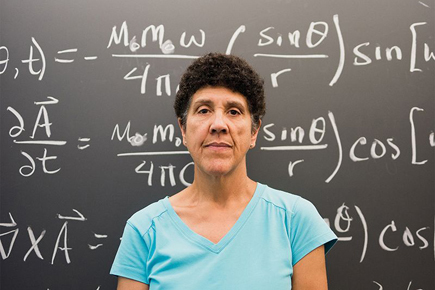 Dean for Institutional Diversity Mary B. James featured in Nature. 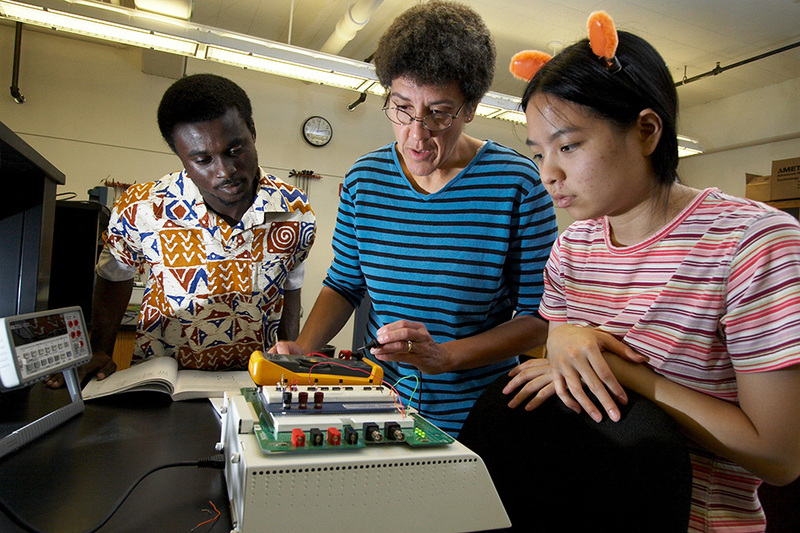 Dean for Institutional Diversity Mary B. James is highlighted by Naturefor her work at Reed and as chair of the American Institute of Physics diversity task force. In a push by Republican Gov. Nathan Deal, Georgia increased its registered voters by 15 percent. Deal is in a closely contested reelection bid and his voter initiative has resulted in enlisting more traditionally democratic leaning voters into the rolls. Reed Prof. of Political Science Paul Gronke talks about how many new voters went to the polls after a similar registration effort in Oregon. The work of Bio. Prof. Jay Mellies and his mentee Morgan Vague'18 to isolate strains of bacteria that degrade PET plastic was included by PBS Newshour as a reason for optimism in an otherwise alarming story about plastic in the environment. In his option piece for The Week, Ryan Cooper '08 asks if it's healthy for the American democracy for all nine U.S. Supreme Court Justices to be graduates of either Harvard or Yale. 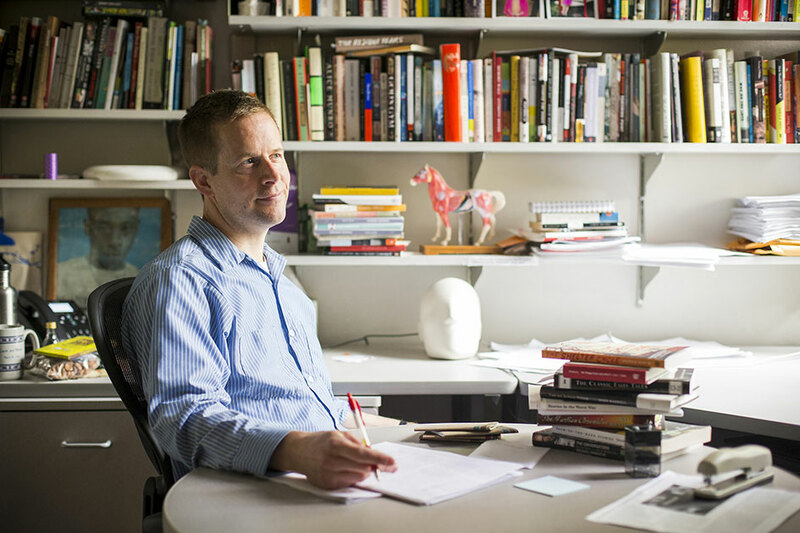 Daniel Reisberg is the Patricia and Clifford Lunneborg Professor of Psychology at Reed College. He is often called as an expert witness in court cases to talk about memory. 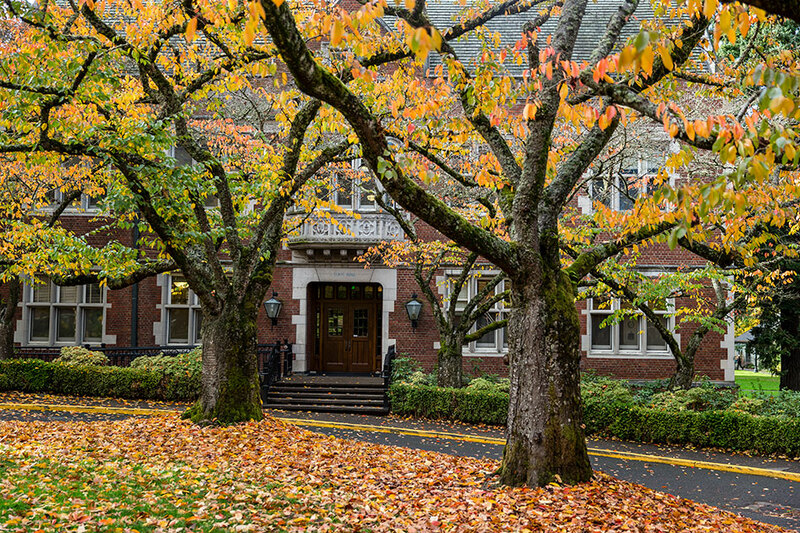 KGW asked Prof. Reisberg about memory and testimony in the wake of the Kavanaugh hearings. Dean for Institutional Diversity Mary B. James is highlighted for her work at Reed and as chair of the American Institute of Physics diversity task force. 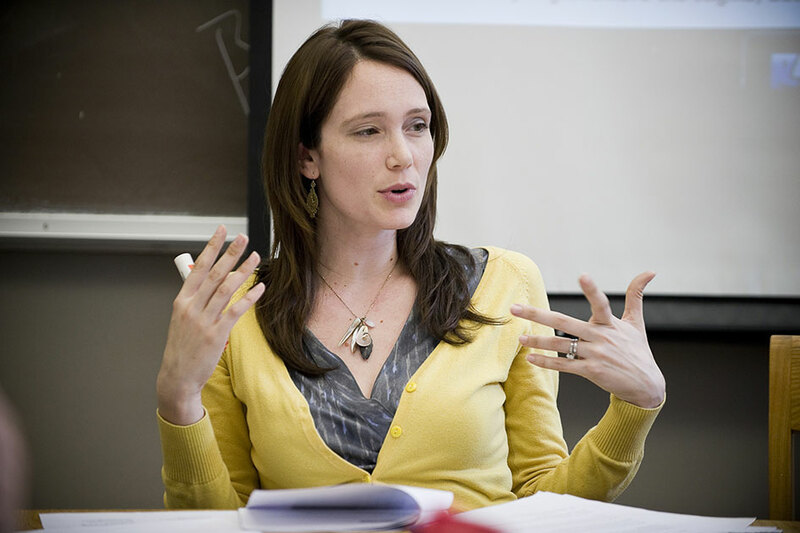 Professor of Theatre Kate Bredeson is a theatre historian, a director and a dramaturg. 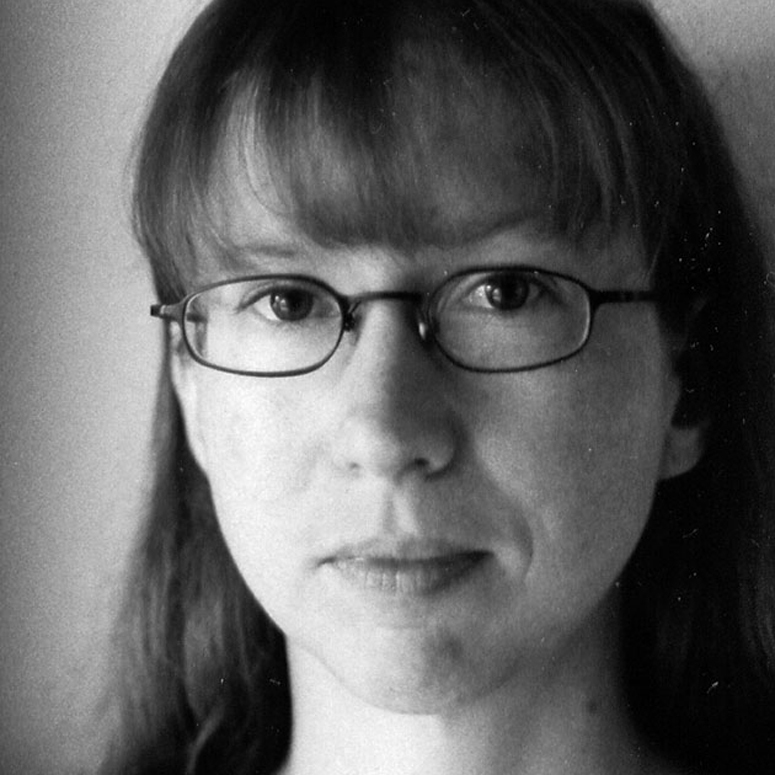 Her recent conversation with Lars Jan was chronicled by the LA Review of Books. Leave No Trace, the film adaption of Prof. Peter Rock's My Abandonment, opens on June 28. 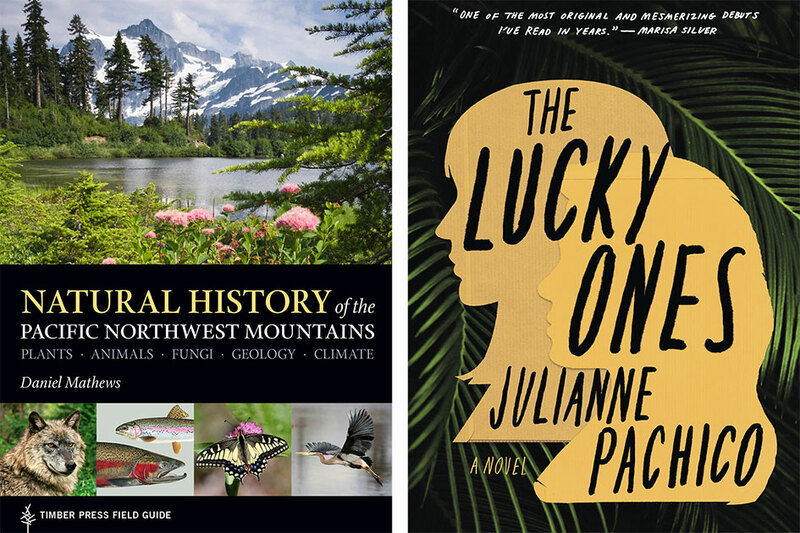 The Oregonian chronicles the story from Forest Park to the silver screen. 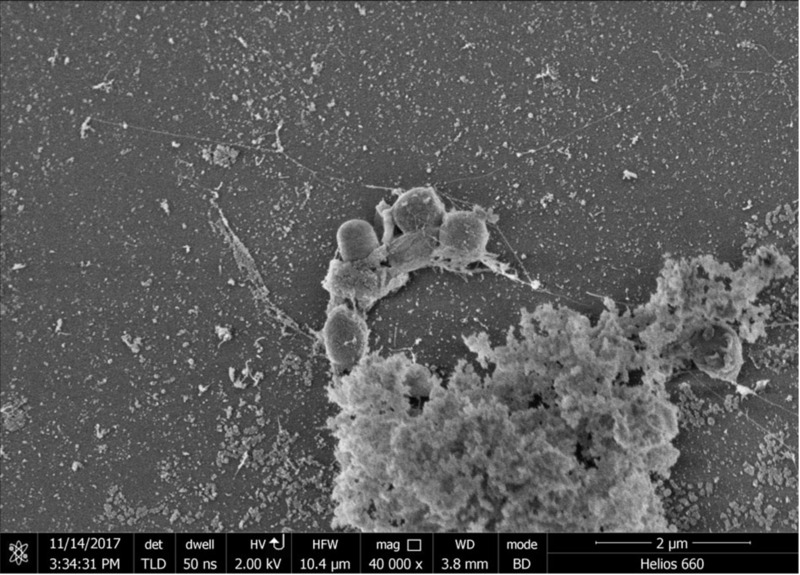 The Oregonian reports on biology major Morgan Vague '18 whose thesis research identified plastic-eating bacteria. 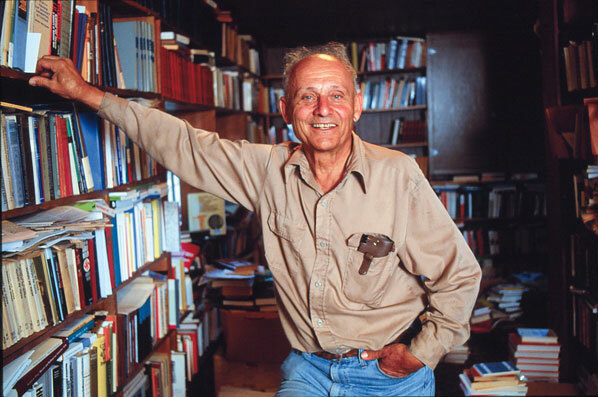 Professor of Russian and Humanities, Marat Ginberg, and his book feature prominently in the obituary of filmmaker Alexander Askoldov. 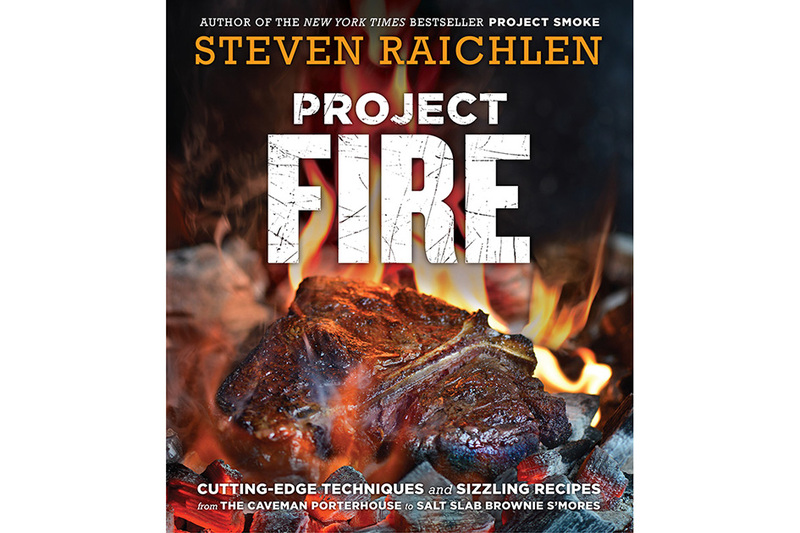 This story highlights Steven Raichlen's '75 latest book and PBS program, Project Fire. Courtship calls of the amphibious? Prof. Erik Zornik and colleagues studied the brains of two closely related species of African clawed frog and learned that while males of both species emit fast trills to lure mates, a group of neurons could help to explain the difference between them. Peter Rock, professor of creative writing, reflects on "Watership Down"—the novel as well as the English village. 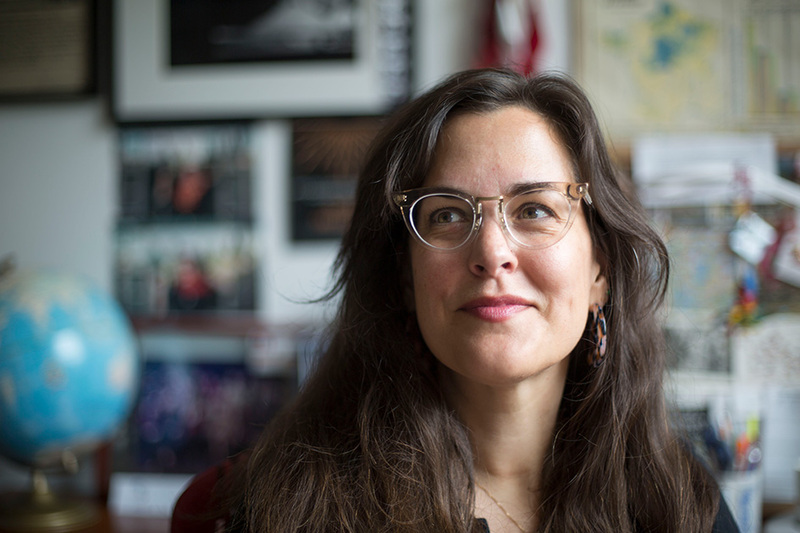 Bashir Wins Oregon Book Award in Poetry for "Field Theories"
The Oregonian described professor of creative writing Samiya Bashir's “Field Theories,” a collection of innovative and experimental poems that meld science and race. Bashir is the winner of the 2018 Stafford/Hall Award for Poetry. 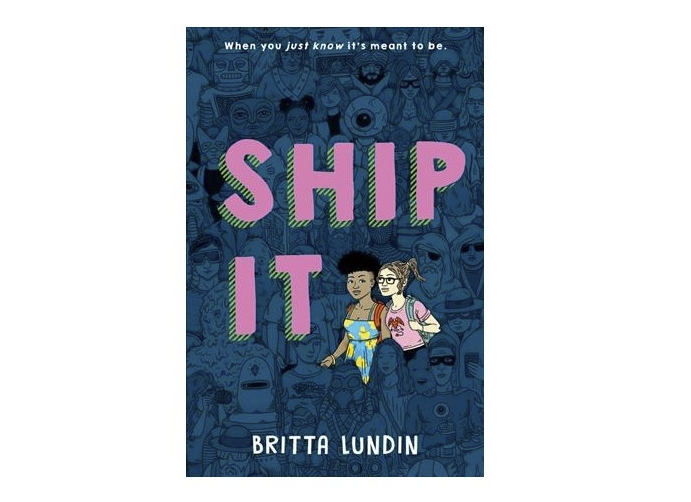 Britta Lundin '07 author of Ship It and writer for the Riverdale TV series visits her hometown of Astoria, Oregon and chats with the Daily Astorian (which she delivered as a child) about her writing success. 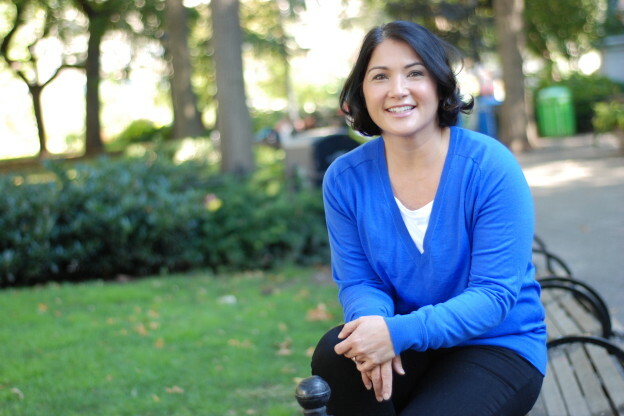 Did Best-Selling Novelist Alafair Burke '91 Foresee the #MeToo Movement? 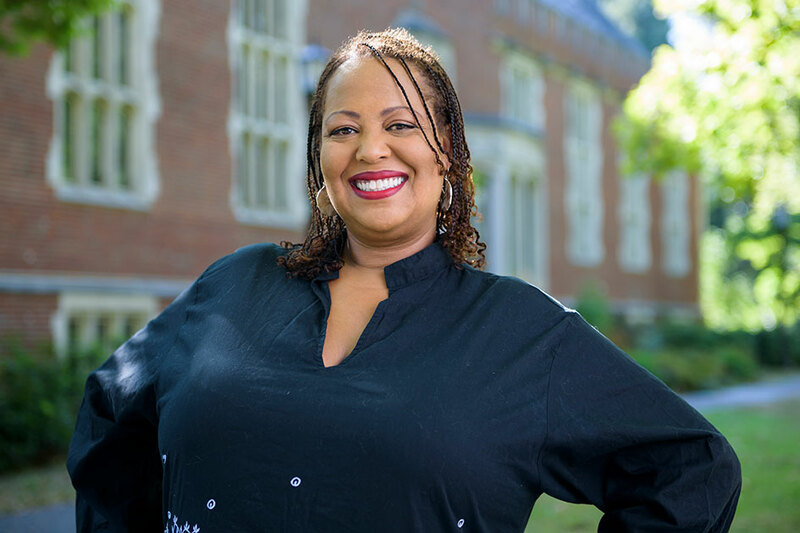 Alafair Burke '91, a former assistant prosecutor has written 16 novels, including her most recent, The Wife, in which the life of Angela Powell is shattered when her husband, a successful economics professor, and frequent news show guest, is accused of sexual harassment. 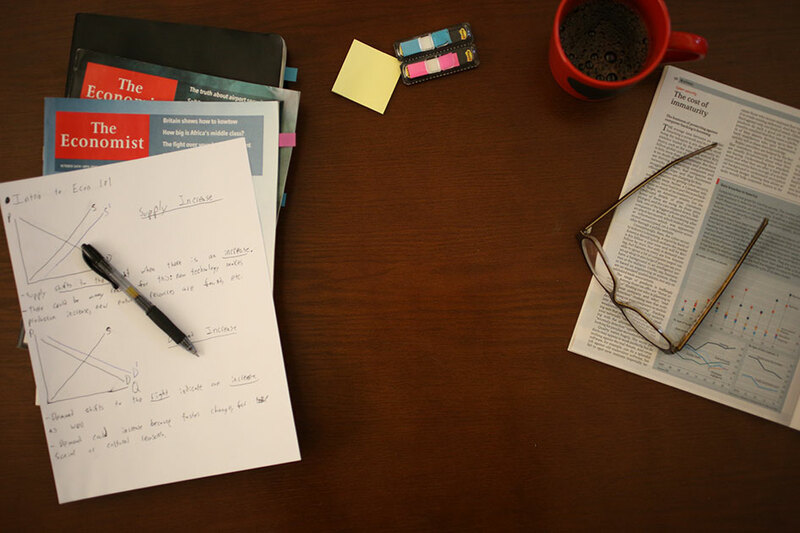 Reporter Colleen Flaherty wrote a thorough followup to her September 2017 story, Occupation of Hum 110. 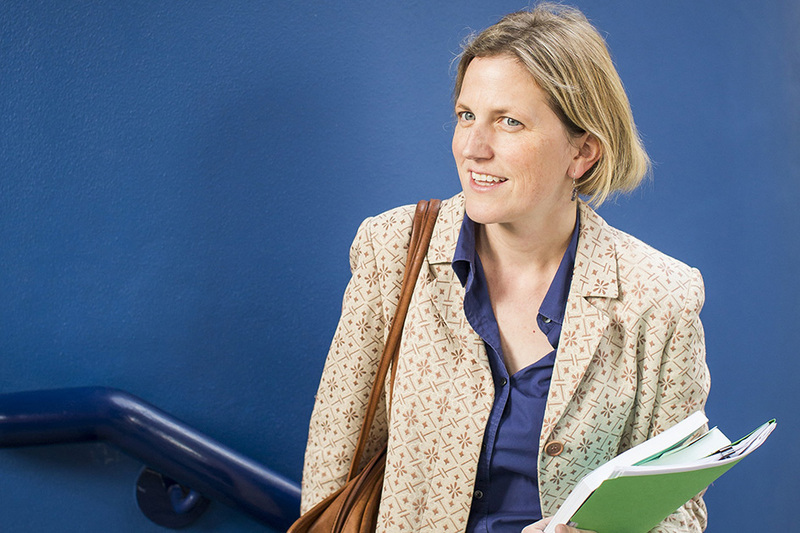 She chronicled the steps taken by the Hum faculty that resulted in the new class structure. Students Said a Keystone Course Was Racist. Here’s What Professors Did About It. 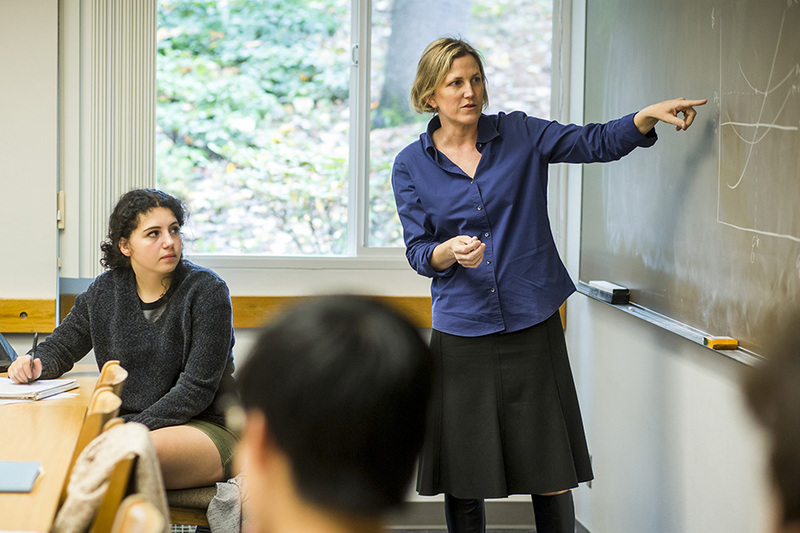 The Reed faculty approved a new course structure for Hummanities 110. The new structure will begin fall 2018 with the ancient Mediterranean and Athens. Updates will proceed in the spring with new modules on Mexico City from the fifteenth through twentieth centuries and Harlem from 1919 to 1952. How it's Easier and Harder to Vote in the U.S. Professor of Political Science Paul Gronke talks about the changing voter landscape in the United States. The show focuses on the drive to increase efficiency, integrity and access to the American voting system, while some states are purging electoral rolls. This conversation is happening amid a backdrop of probes regarding Russian influence during the 2016 presidential election and allegations of voter fraud considered by a now disbanded presidential commission. "Now under fire from an array of forces on the right, colleges must learn how to weather the attacks"
President John Kroger is quoted in this broad story about "far-right-wingers who want to take the fight to the heart of Blue America," by legislative powers and grassroots activists. Longtime Portland civil rights leader and Reed College graduate Kathleen Saadat ’74 is releasing a collection of jazz standards with Pink Martini founder Thomas Lauderdale. The CD titled, “Love for Sale” will be available March 1. 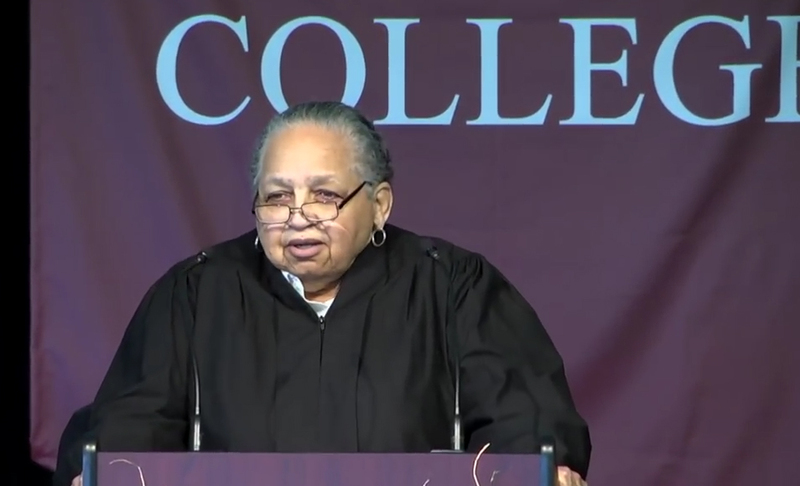 Kathleen Saadat was commencement speaker for Reed’s graduating class of 2015. A new HBO show based in Portland, Here and Now, has a companion podcast that features locals talking about themes explored in various episodes. 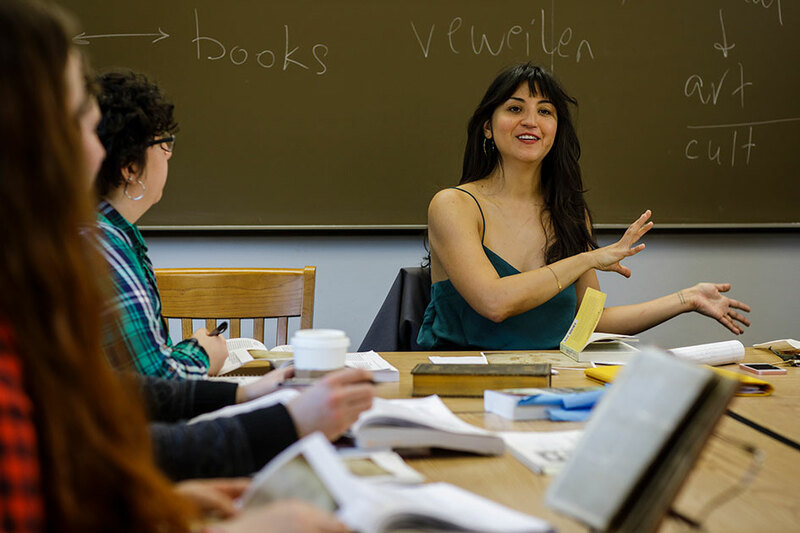 Reed assistant professor of English and humanities Lucia Martinez Valdivia is featured on a segment about identity. The Oregonian wrote about the podcast which can be heard on iTunes. Board Chairman Roger Perlmutter thanks John for his invaluable leadership. The LA Times chronicles how the release of a new CD compilation, "Dr. Demento Covered in Punk," came into being. 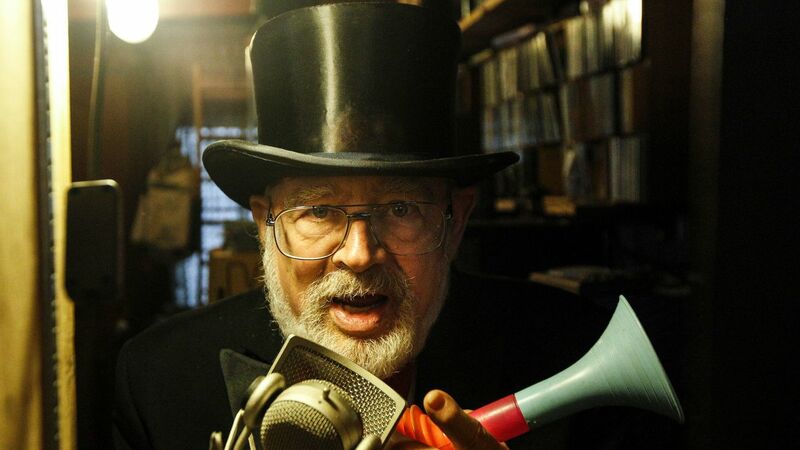 The story includes a brief retrospective of the 50-year broadcasting career of Barret "Dr. Demento" Hansen '63 and explains how he was an early supporter of punk rock music. Reed Prof. of Econ Kim Clausing explains why the tax bill may lead to more foreign than domestic jobs. 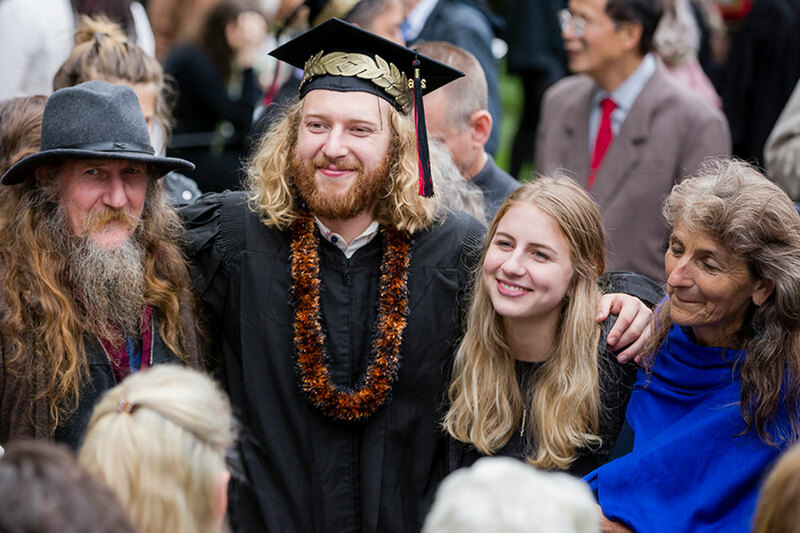 Reed College graduate from the Class of 2016, Taliesin Namkai-Meche, 23, and Rick Best, 53, who were fatally slashed when coming to the aid of two young women on the MAX train, along with poet Micah Fletcher who survived the attack, were named the Oregonian’s Newsmakers of the Year. 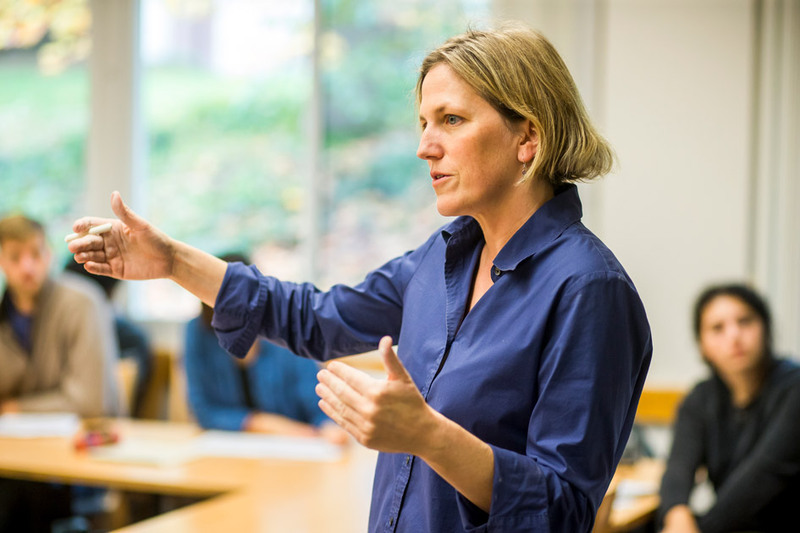 Professor of Economics Kim Clausing shines light on the GOP tax plan. Government and outside analyses of the House and Senate tax bills show that the benefits would flow disproportionately to the wealthy. Aides to President Donald Trump argue that lower tax rates for companies and the wealthy would trickle into substantial pay raises for middle-income workers. Clausing disagrees. 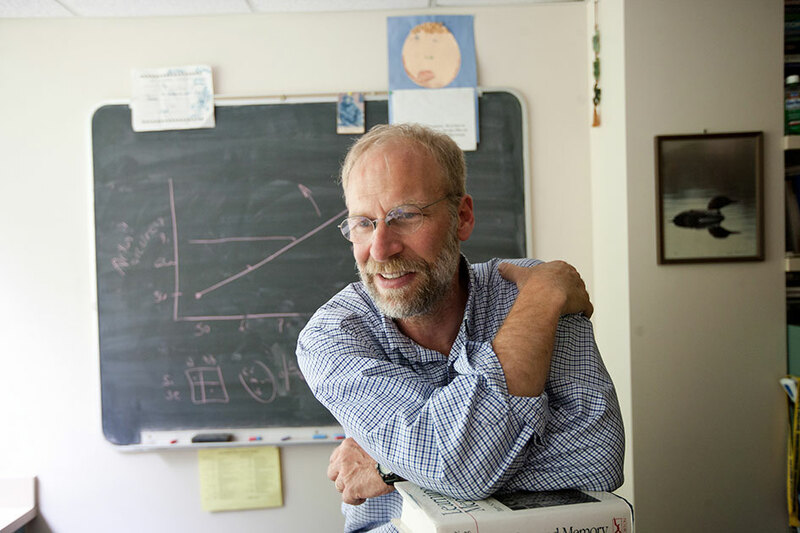 Professor of Political Science Paul Gronke contributed to this story on Oregon’s second-largest voting block—nonafilliated voters. 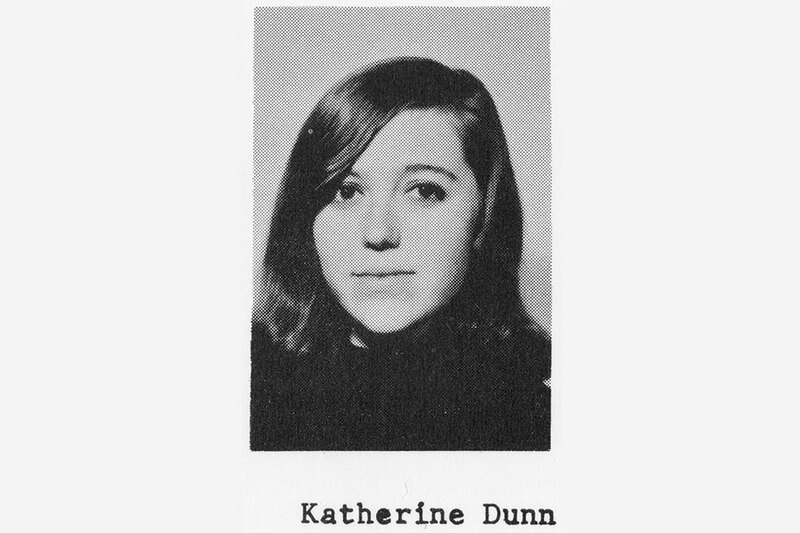 The Oregonian writes a loving remembrance of Katherine Dunn ’69, the author of the "Geek Love," a National Book Award finalist and a novel that has gained a cult-status following. Tracy Thompson of Bowie, Maryland, whose relationship to Reed is unknown, came to the defense of college in the Letter to the Editor section of the Washington Post. 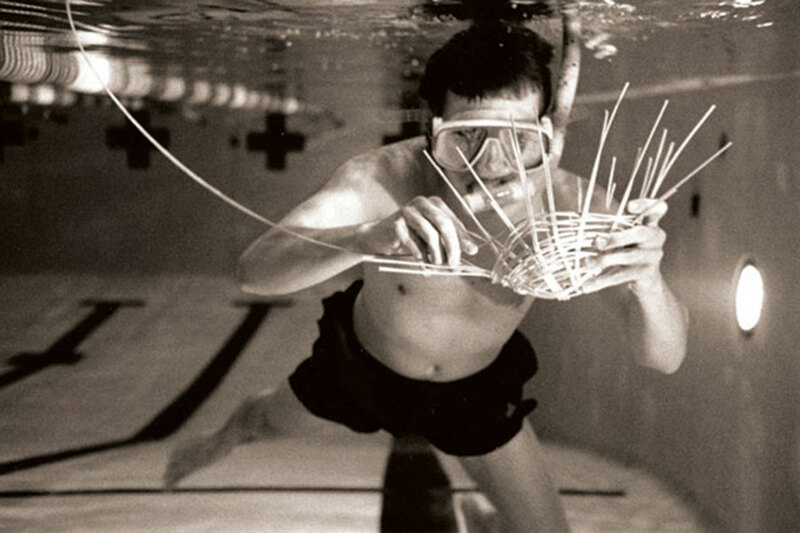 She quoted the Reed Magazine Almanac’s section on those who perpetuate the myth on Underwater Basket weaving. 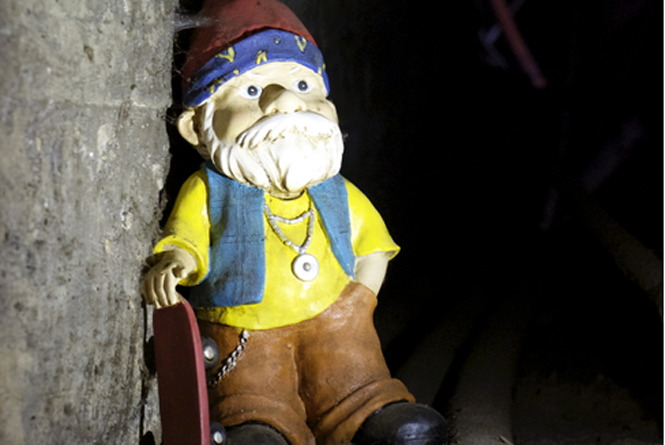 Spoiler alert — It’s not real! The Paideia course continues to attract attention of those who wish to disparage higher education. The 1991 Reed College graduate has turned The Simpsons into a post-apocalyptic opera, invented her own language and put on a communist Dracula pageant. 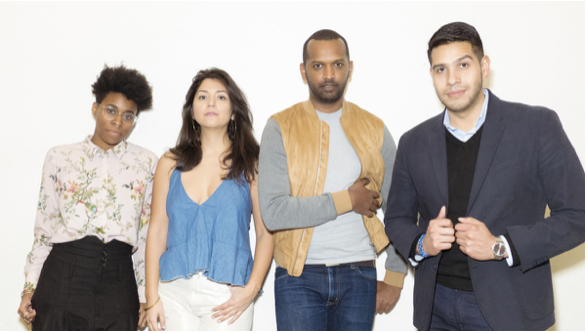 Now, the US playwright is staging the creepy, late-night TV classic that scarred her as a child. 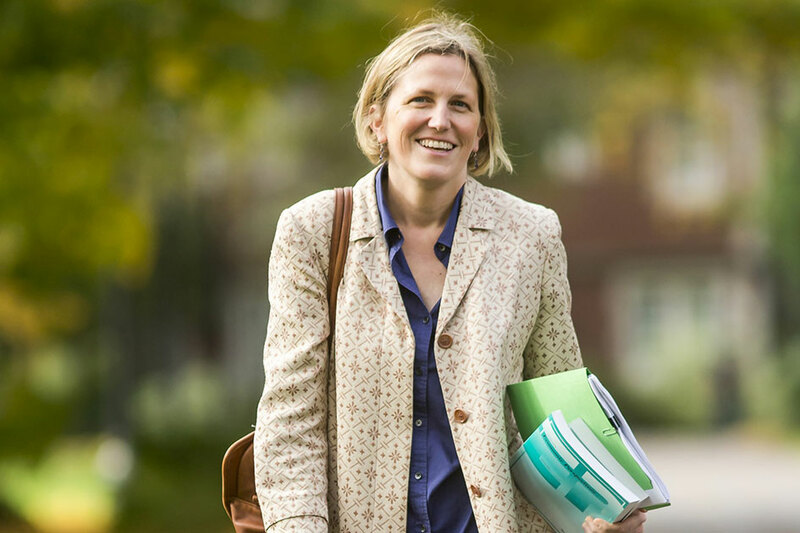 Prof. Fry chronicles her experience in attempting to volunteer for the The U.S. Environmental Protection Agency’s Scientific Advisory Board, whose charter calls for its members to "provide independent advice and peer review to EPA's Administrator on the scientific and technical aspects of environmental issues. 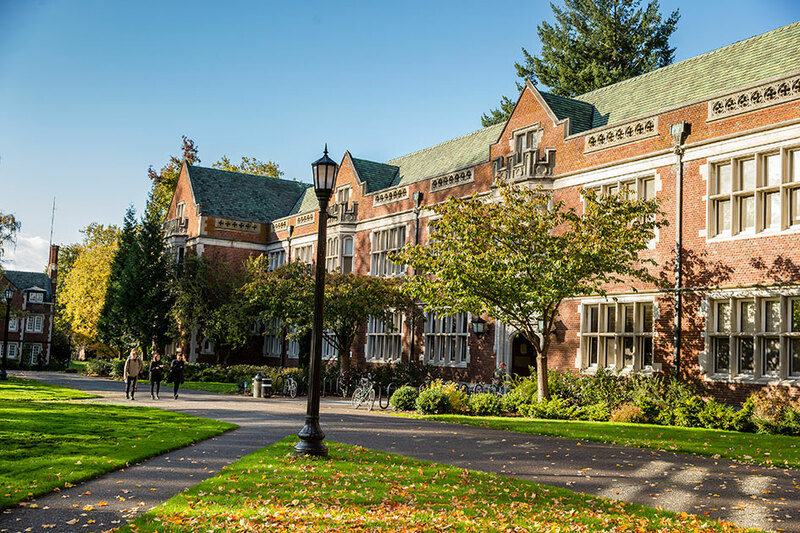 According to Reed College economist Kimberly Clausing, the Republican tax plan uses obsolete methods to achieve its promised growth targets. Darius Rejali from Reed College, author of Torture and Democracy is the guest of Stanford professors John Perry and Ken Taylor who host the philosophical chat show that airs in Oregon on OPB Thursdays from 9 to 10 p.m.
Kimberly Clausing is the Thormund A. Miller and Walter Mintz Professor of Economics at Reed College wrote the following commentary. Steve Martin’s seminal “King Tut” sketch is being blasted as cultural appropriation by a group of students at a prestigious liberal arts college in Oregon after the classic "Saturday Night Live" parody was played in a humanities course. 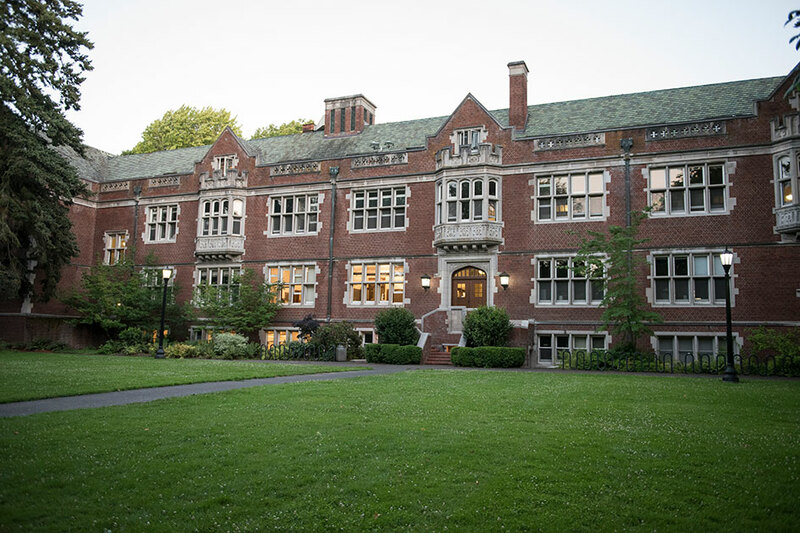 Student protestors are asking Reed College to consider social and environmental goals in its investment strategy. The student body has long been active in divestment movements, including a current sit-in since Oct. 23 in the president's office and hallway to protest the use of Wells Fargo as the college's operational bank. 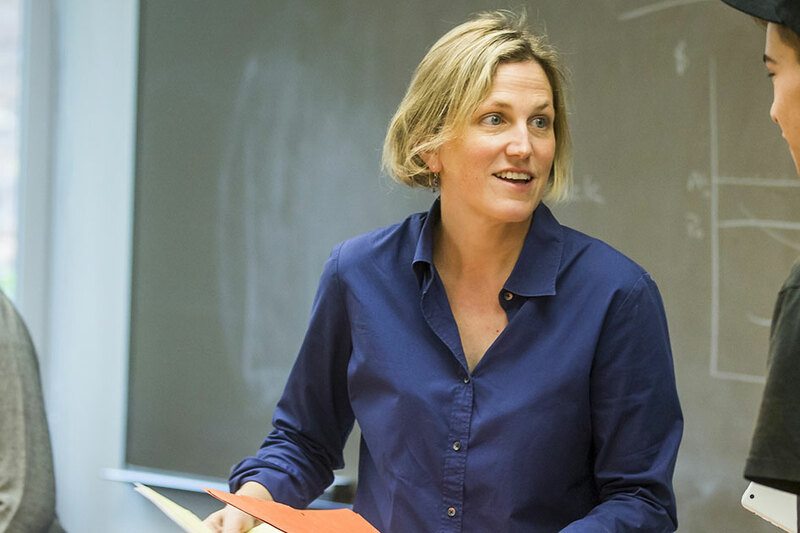 Prof. of Economics Kim Clausing's proposal to tax companies for sales that take place within US boarders to help eliminate tax shelters was mentioned by the Times Editorial Board in Sunday's editorial. This mentions resulted in many other media outlets including Nov. 13th broadcast of NPR's Morning Edition. This articles is in response to comedian Sarah Silverman's more thoughtful response, during an episode of HBO's Real Time with Bill Maher, on the offense taken by some Reed students regarding the showing of Steve Martin's King Tut video during Hum 110. 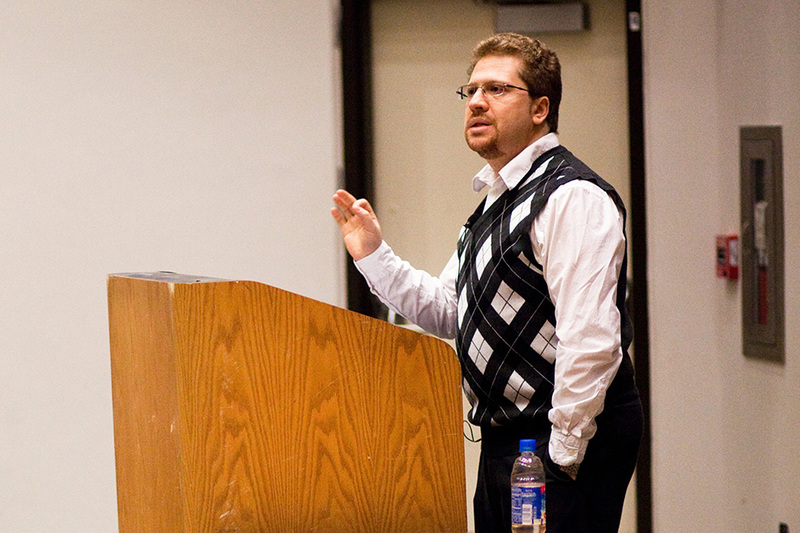 Ethan Epstien ’10 is an associate editor at The Weekly Standard. 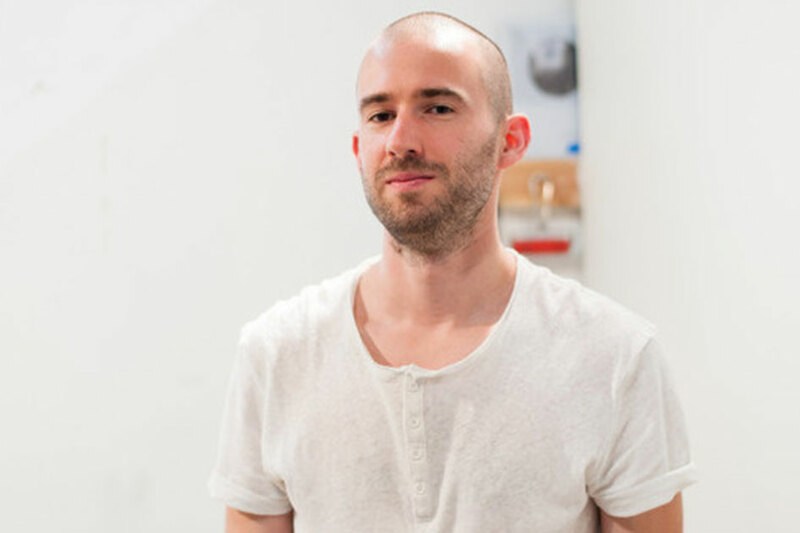 He's also written for the Wall Street Journal, National Journal, Slate, City Journal. 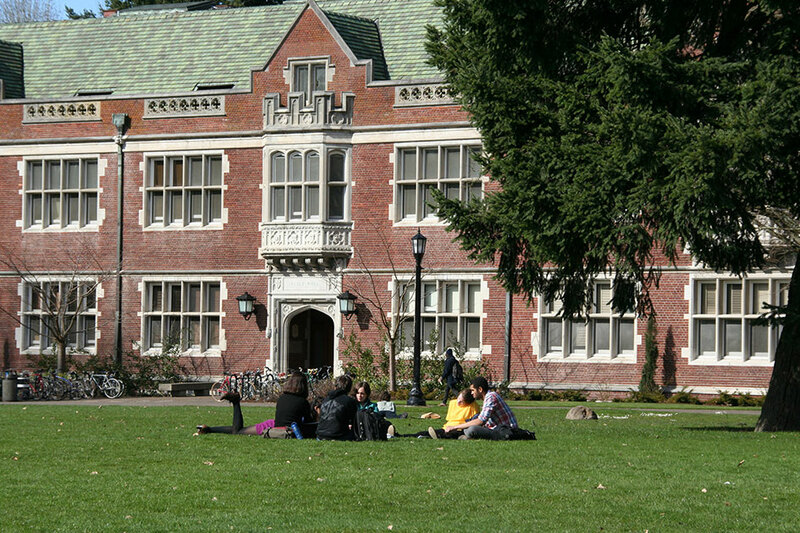 He holds a BA in history from Reed College and chimed in on the recent protests. 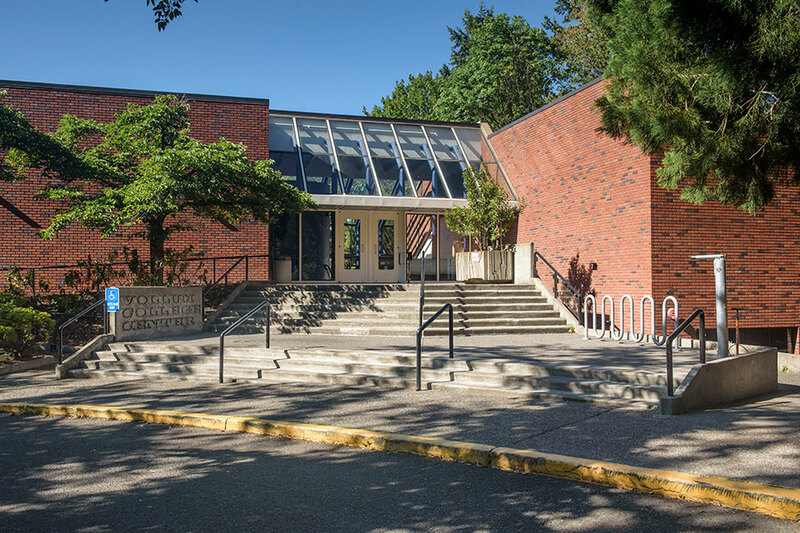 The University of Oregon and Reed College are highlighted in this extensive piece on administrative responses to student protests. Prof. of Economics Kim Clausing explains to The Hill how the House tax cut will make the country less competitive. 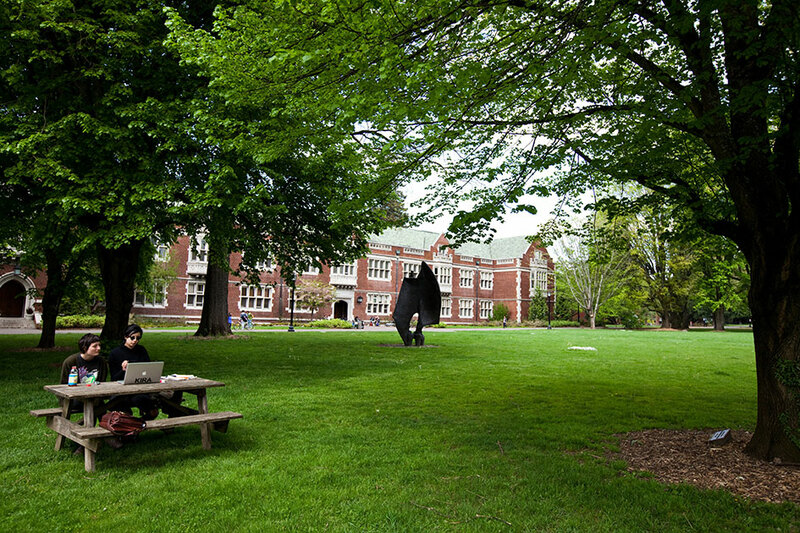 Information technology is pervasive in everything we do in so many ways, says Marty Ringle, chief information officer at Reed College and a founder and former chair of Educause. Like electricity, that’s what technology in education has become. He talks about his long history with the organization and how tech in teaching has changed on campuses since Educause started, in the 1970s. 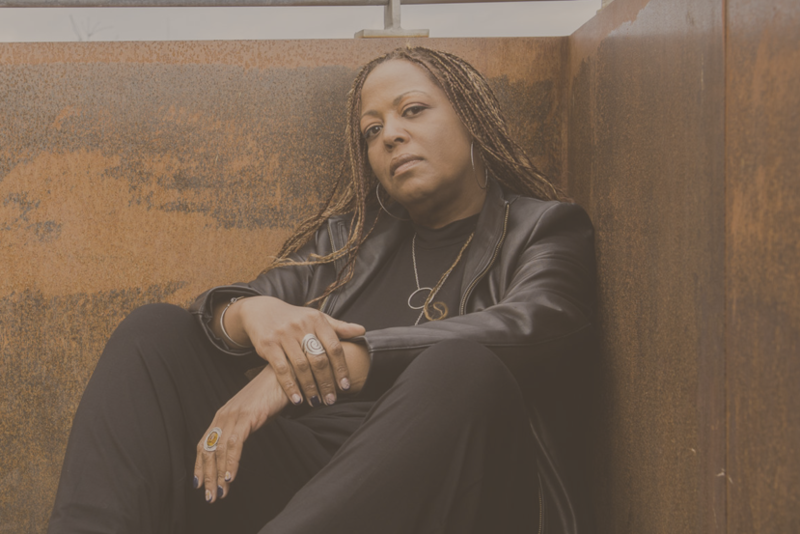 Creative Writing Prof. Samiya Bashir on OPB Radio’s State of Wonder. Bashir talks about her latest release, Field Theories. 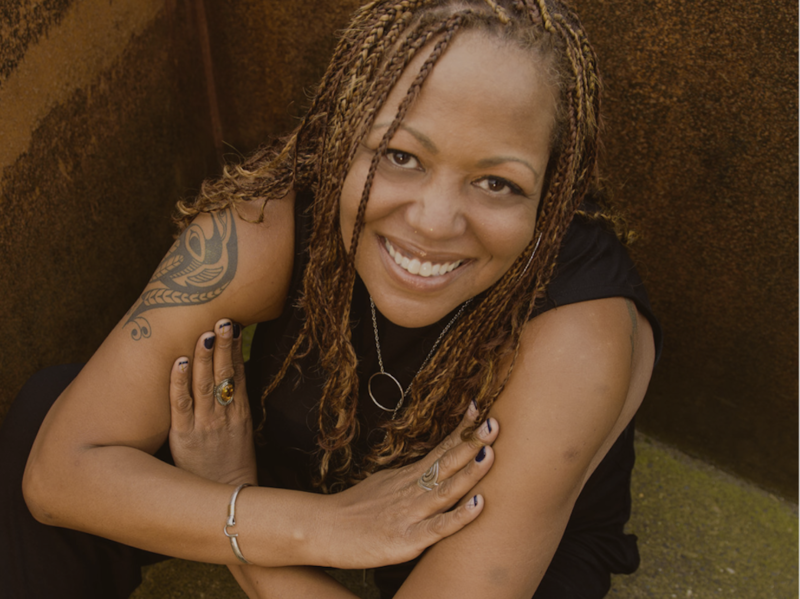 Her website describes her third book of poems as wending its way through quantum mechanics, chicken wings and Newports, love and a shoulder’s chill, melding blackbody theory (idealized perfect absorption, as opposed to the white body’s idealized reflection) with real live Black bodies. 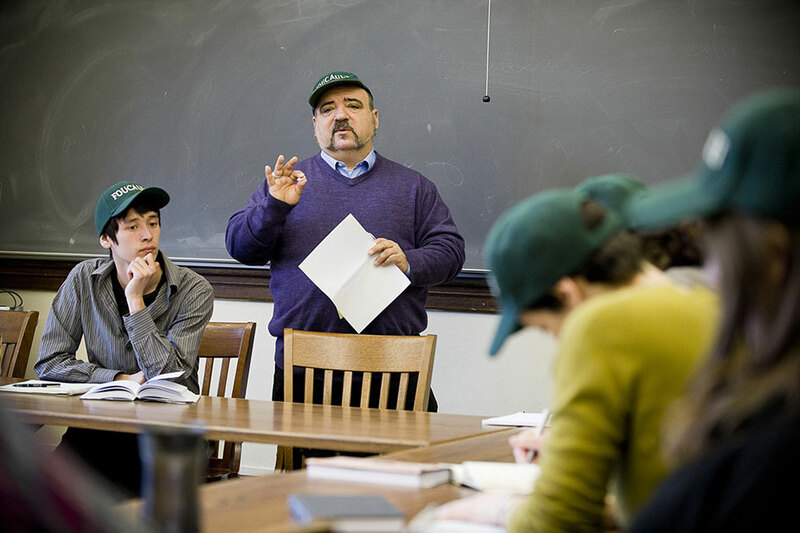 Joe Kolman ’77 wrote a second story about the protests. 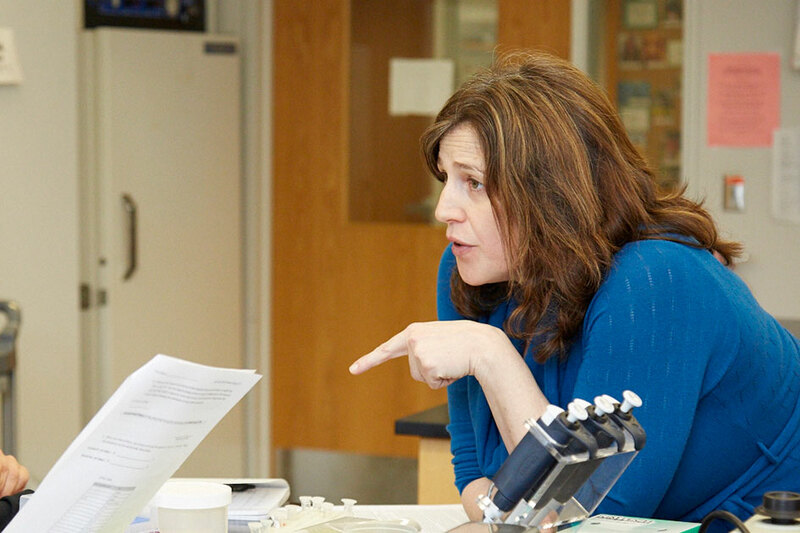 Reed Prof. of Bio Sarah Schaack explains how it can be easy to miss a step in a gene’s history. 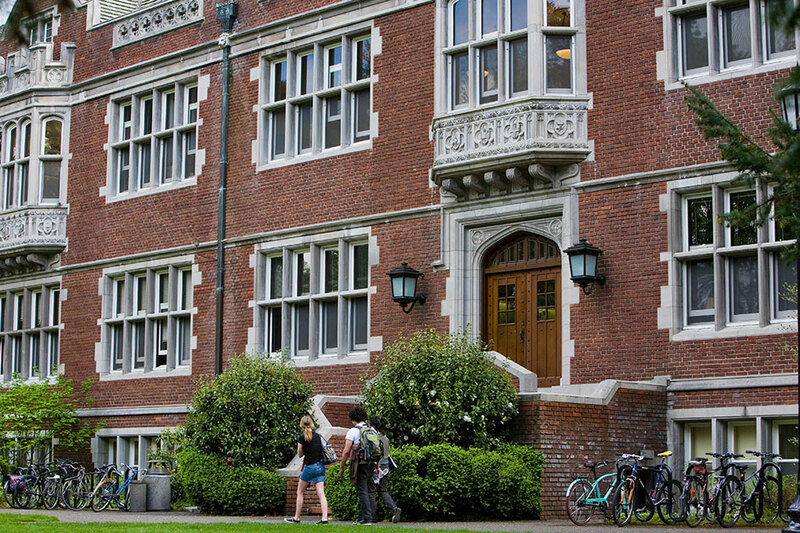 This story on the new Department of Education directive regarding Title IX features VP of Students Mike Brody discussing Reed’s approach. 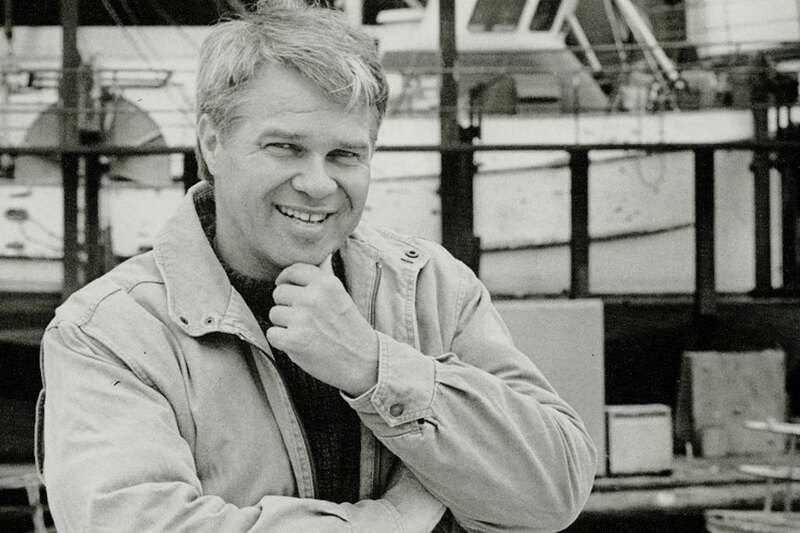 Obit of Jon Rowley '69 and his work to market copper river salmon among other things. Prof. of Economics Jon Rork contributes to a CNBC story on retirees rethinking Florida, post Hurricane Irma. 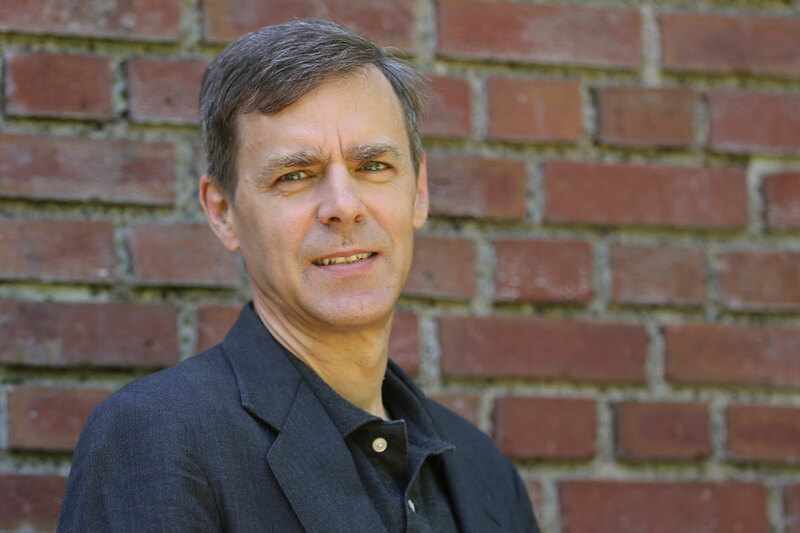 Prof. Mark Burford contributes to an article that follows the route of Chuck Berry’s 1964 hit “Promised Land” that chronicles the African-American experience in the 20th century. 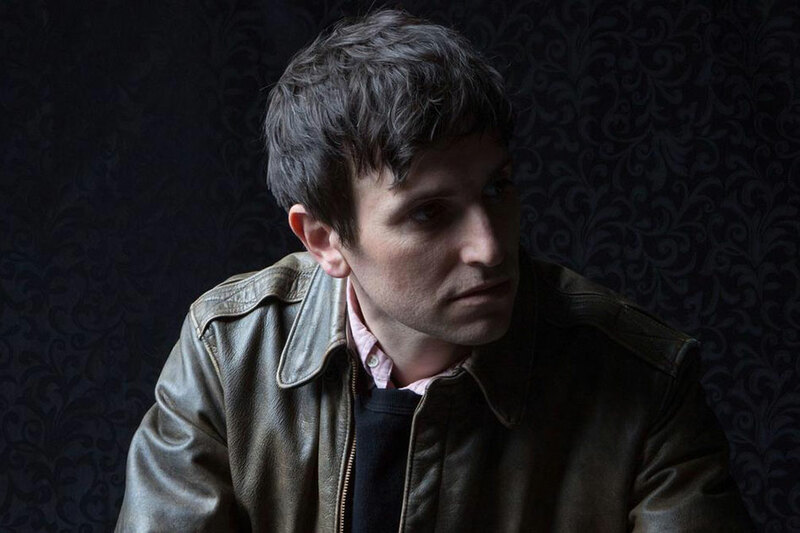 Kip Berman ’02, front man of The Pains of Being Pure at Heart, talks about studying “ancient religion” at Reed, songwriting, and his musical influences. 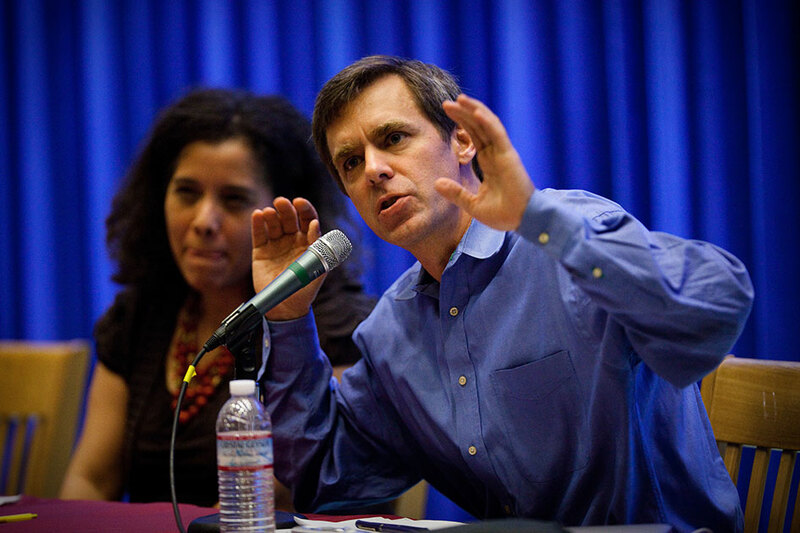 Prof. Paul Gronke visits with OPB's Think Out Loud to discuss election reform. Professor of political science Paul Gronke and former Oregon Secretary of State Phil Keisling discuss election reform. 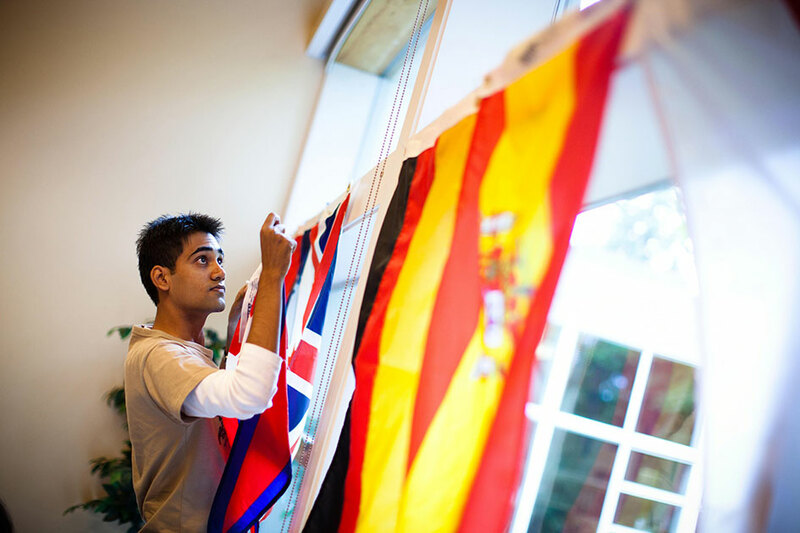 Reports on how Reed increased international student diversity despite the White House travel ban. 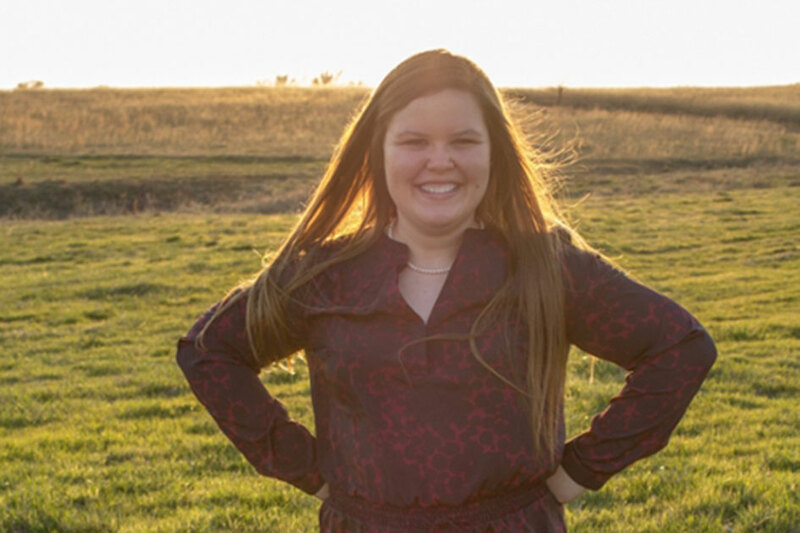 NBC News Digital reporter and 2012 Reed grad Mary Emily O'Hara explains what she learned navigating the college admissions process as an adult. 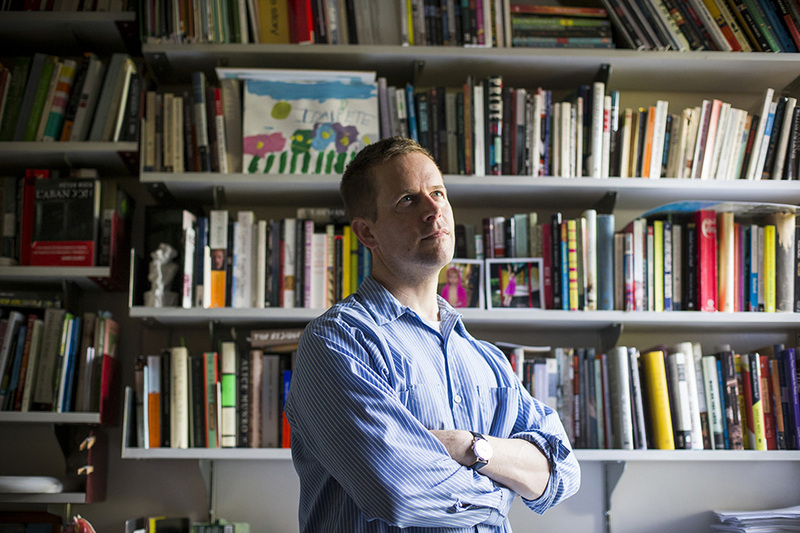 How to Raise an Adult author Julie Lythcott-Haims hails Reed for its stance on college rankings at the New York Times Higher Ed Leaders Forum (17:00). 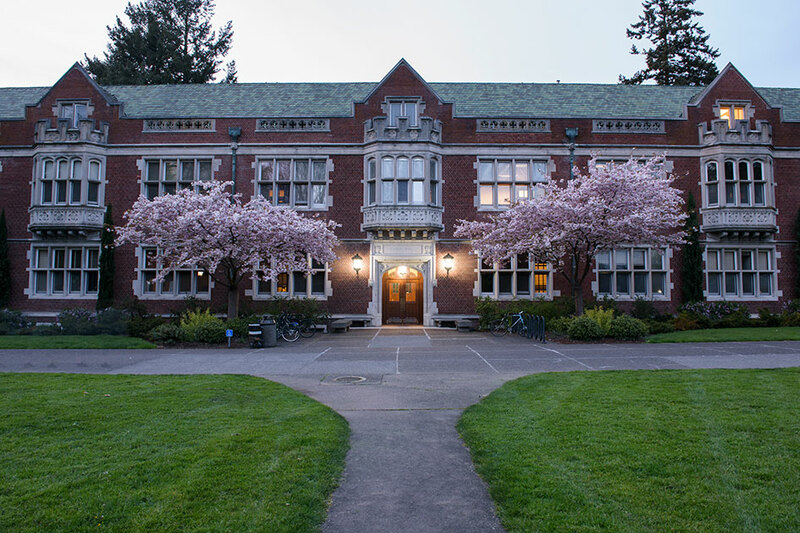 Nicholas Kristof provides commentary on the murder of 23-year-old recent Reed College graduate Taliesin Myrddin Namkai Meche ’16 and 53-year-old Army veteran. 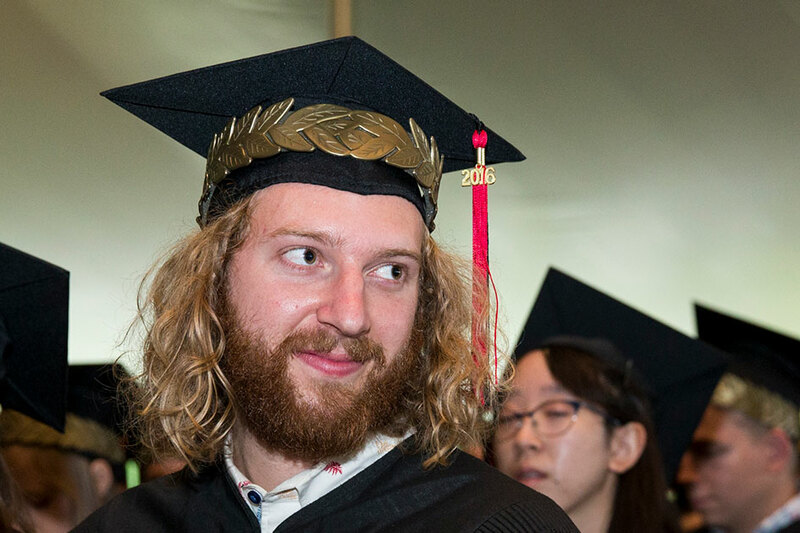 The harrowing story of Taliesin Myrddin Namkai Meche ’16 who lost his life protecting two teenage girls and from a hateful and violent racist. Curb the Use of Overseas Tax Havens? Yes! But How? “There’s a lot of evidence that the holiday created no jobs and did not lead to any additional investments,” said Kimberly Clausing, an economist at Reed College. Professor of English and Humanities Lucia Martinez’s support of Yemeni people engendered a kind response. 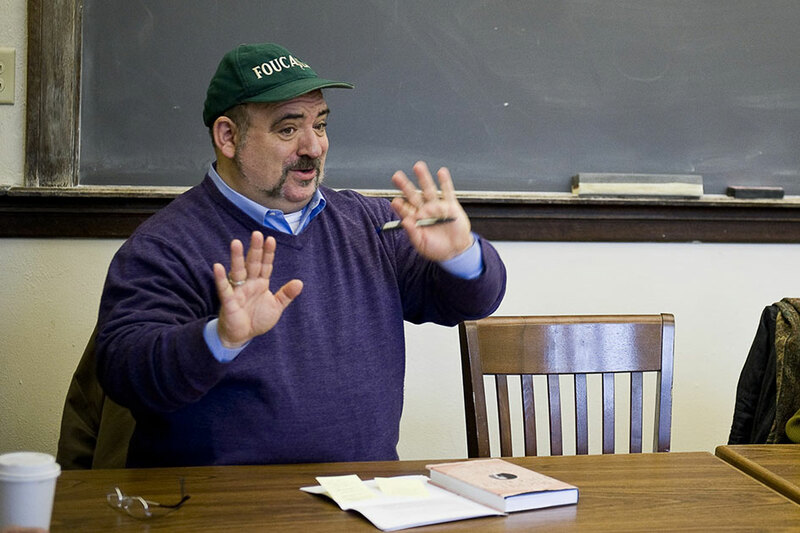 Prof. Daniel Reisberg, an expert in eye-witness identification, testified on behalf of a man who was convicted in part as a result of doubtful police procedures. Professor of Creative Writing Peter Rock’s novel My Abandonment is being made into a movie. Shooting began in April. Prof. Rejali lays out the social science on how Donald Trump's pro-torture rhetoric could help bring abuse to a neighborhood near you. 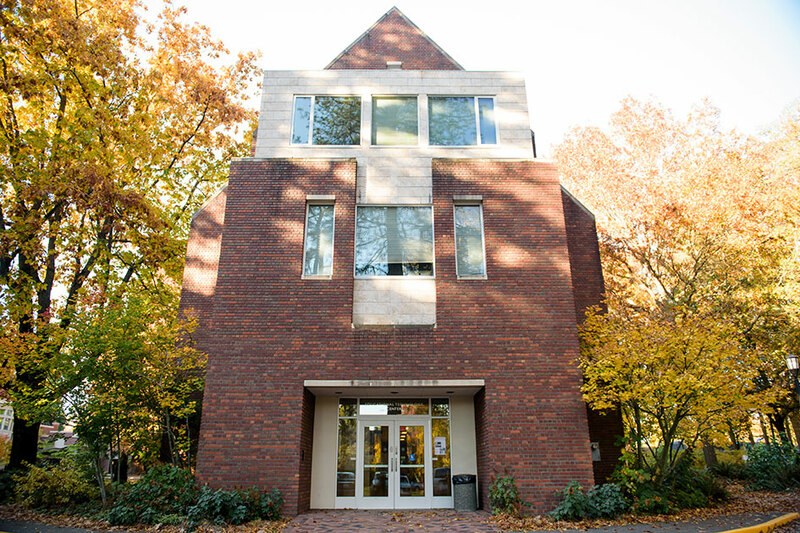 Vice President of Financial Aid and Admission Milyon Trulove is quoted extensively in this article that got picked up by more than 30 news outlets. 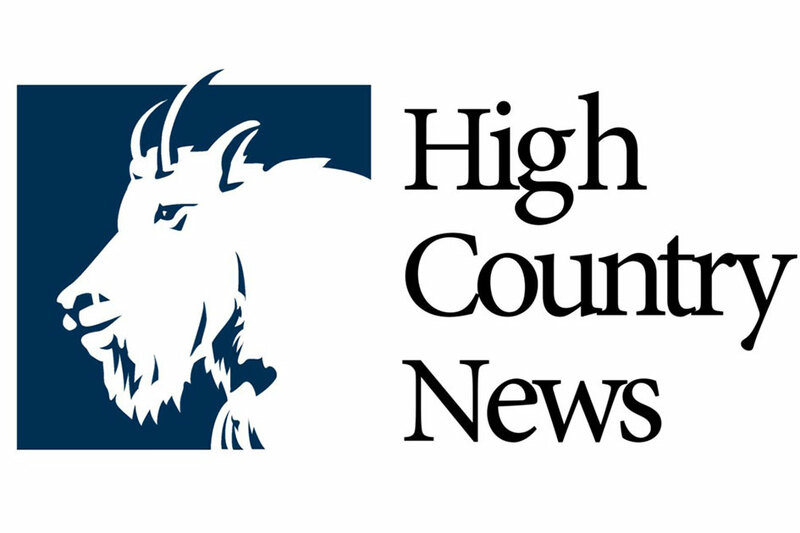 In January, High Country News hosted two students from Reed College to see the inner workings of a news magazine and the magazine published the stories they wrote. Professor of Linguistics Kara Becker features prominently in this article about why Natalie Portman’s accent in Jackie is spot-on. Professor of Economics Kimberly Clausing helps explain Border Adjustment Tax. 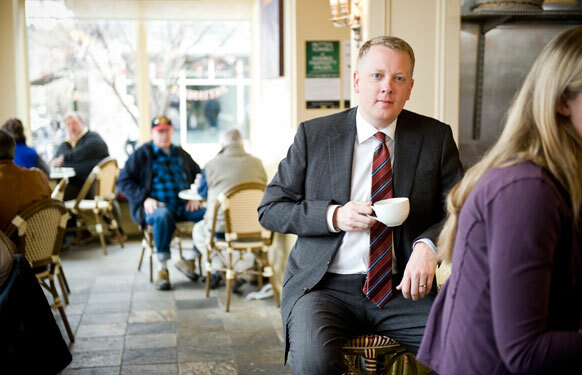 “Unless the dollar appreciates quickly and countries don’t fix their exchange rates, at least in the short run you’re going to be paying more for all that stuff,” Clausing says.